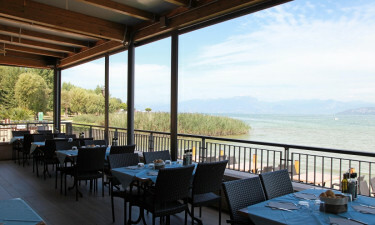 Set right on the shores of the large and romantic Lake Garda, San Benedetto is a leading LuxCamp with amenities for the whole family. The lake is also graced with a stretch of golden sand where guests can soak up the sun while experiencing the camping holiday of a lifetime. Luxury camping lovers will be able to spend plenty of time exploring the world famous Laguna wine region during their stay at San Benedetto. The huge onsite chessboard is a great place to play, while volleyball is a popular activity amoung guests. 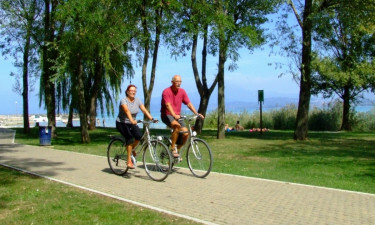 Why choose Camping San Benedetto? 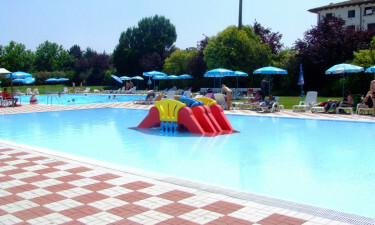 A large outdoor swimming pool can be found in the heart of the site and in addition to swimming laps, guests can take part in the aerobics classes and other activities that are organised by staff. Adults can also unwind on one of the sun loungers while the little ones splash around in the wading pool. Spending time soaking up the sun on the stretch of sand that runs beside Lake Garda is a luxury camping experience that should not be missed. Aquatic activities such as fishing and windsailing are popular here, while hiring a boat is a great way to discover the area.